Acupuncture is a healing modality that dates back over 2,000 years. It is based upon the idea that we have a system of meridians or flow of energy that runs throughout the body. The Chinese call this energy qi (pronounced chee). These meridians are also energetically connected to each of our main organ systems. When this flow of energy is running smoothly, we have health and wellness. But often times we develop blockages in this energy system from any number of physical, emotional, nutritional, or lifestyle stressors. When these blockages occur, we experience symptoms such as pain, allergies, digestive complaints, anxiety, and depression to name a few. Once the acupuncturist determines where these blockages are, hair-thin sterile disposable needles are inserted at various points along the meridian system and/or specific muscles to help remove the blockages and reestablish the free flow of energy. The needles are then typically left in the body for 15-20 minutes. Acupuncture is holistic and looks at all aspects of a person and all body systems and how one system or function affects the other. It is unique in that treatments are tailored to the individual and their level of imbalance. The focus is not on treating a disease but rather how symptoms manifest in a particular person, so that healing can occur at all levels of the body, mind and spirit. Acupuncture works by stimulating the body’s own natural healing mechanisms. The needles are used as tools to help prod the body to release held energy or blockages and stimulate blood flow and other bodily systems so that healing can occur. Respective studies thus far have shown that acupuncture regulates the nervous system and has an effect on specific regions in the brain that are associated with pain and pain perception, emotions and addictive behaviors. Specifically, acupuncture has been shown to activate pain blocking neuropeptides such as enkephalins, beta-endorphins and dynorphins which play a large role in “disrupting” pain perception networks and pathways. It was recently discovered that acupuncture has a great impact on reducing inflammation in the body and is being examined and used more and more for helping with opioid addictions. Studies have also shown that acupuncture works through our connective tissue. Our bodies all contain a connective tissue network that surrounds every bone, ligament, organ, etc. and is responsive to mechanical stimuli. A top respected researcher in our field, Dr. Helen Langevin has revealed through her work that acupuncture meridians lie at deeper fascial connective tissue planes and because of this may be even more responsive to mechanical stimuli such as an acupuncture needle into an acupuncture point. 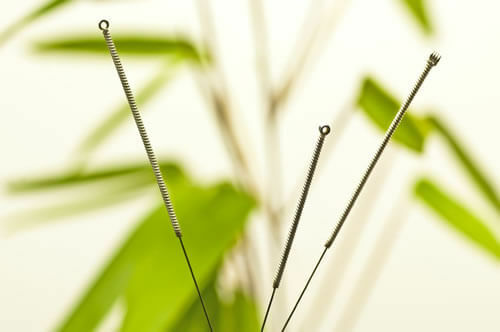 Her studies have also shown that there are actual changes in the tissue at the site of needle insertion, which are believed to play a significant role in cellular changes at the acupuncture points and along the connective tissue planes.